Koots may not have been open for Monday lunch but it certainly is open for Tuesday lunch and Paalo and I have sneaked out for a little treat. 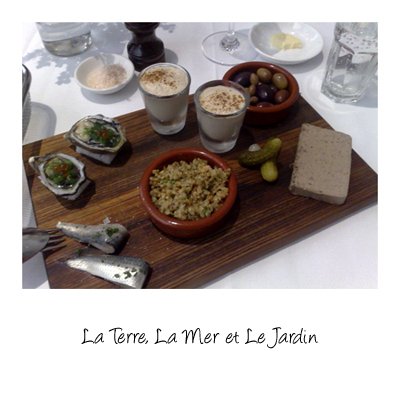 This is from the a la carte menu - a selection for two. From the top left going clockwise, Kumamoto oysters with seaweed salad, soy and mirin dressing and salmon caviar, cep veloute, mixed olives, duck liver pate, quina and freekeh salad with pomegrante dressing, marinated sardines. 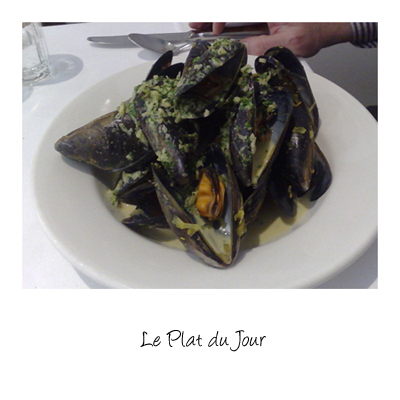 The "plat du jour" for today was this amazing bowl of Mussles cooked in light curry flavoured broth. These were probably some of the largest mussels we've ever seen and each and every one of them were incredibly tender. 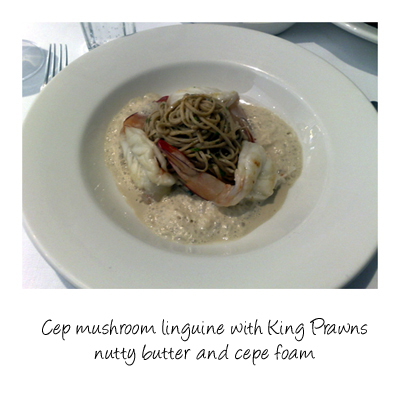 My selection was from the a la carte menu - three large, butterflied king prawns sitting amongst a cepe foam, in the centre tender and beautifully cooked cep linguine. I know people have an attitude when it comes to foam, don't ask me why, but this was chock full of the flavour and essence of cep without the weight of a traditional sauce. 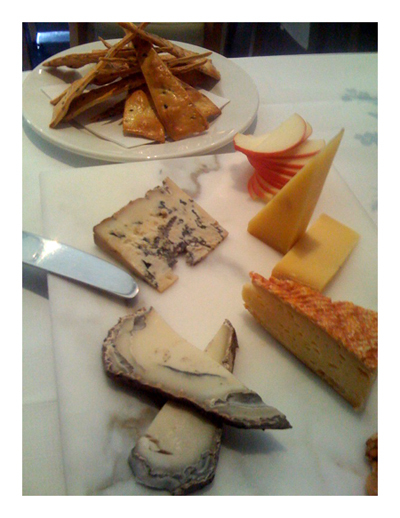 As we had some wine left, a plate of cheese seemed an ideal way to finish off the meal. There's always an excellent selection on offer here.